This year’s Holst Lecture, the 40th since 1977, will be given by Andrew B. Watson PhD. In his Holst Lecture he will reflect on his work as a Senior Scientist for Vision Research at NASA Ames Research Center. Dr. Watson will receive the prestigious Holst Memorial Lecture Award 2016 for his important contributions to vision research. In his Lecture ‘The Windows of Visibility’ dr. Watson will refer to the fact that we do not see the world as it is, but only the view that is admitted by the window of our visual sense. In his talk he will explore the many narrow windows of visibility through which we experience the visual world. Through these limitations, the eye reduces the infinitely complex physics of reality to a finite limited sample of information that our brain can manage. Remarkably, understanding these limitations is also key to designing better visual display technology. Dr. Watson will illustrate this idea with examples from quality optimization of display and lighting systems. The Holst Memorial Lecture and Symposium are organized by Philips Lighting Research and Eindhoven University of Technology (TU/e). While the Memorial Lecture by Andrew B. Watson will focus on achievements in vision research, the preceding Symposium will cover four topics, each for 30 minutes including Q&A. Four eminent speakers, all leading academic and industrial professionals from different disciplines, will each address a specific aspect of light, ranging from consumer and entertainment lighting, horticulture, semantic lighting to virtual city planning and light rendering. In this way, the Symposium will address some of the many values light can offer. Preceding the Holst Symposium, the TU/e’s Intelligent Lighting Institute (ILI) organizes its annual public outreach event ILIAD. Researchers connected to ILI will present current and upcoming research and innovation projects in Intelligent Lighting and its applications in Health and Well-being, focusing on the strategic partnership between TU/e and Philips Lighting. Poster presentations will be part of ILIAD 2016. 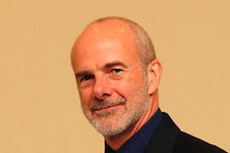 Andrew Blanchard Watson (4 November, 1951, Washington D.C.) is currently working as Senior Vision Scientist at Apple. Until recently he was the Senior Scientist for Vision Research and Director of the Vision Group at NASA Ames Research Center, Moffet Field, California. He studied perceptual psychology and physiology at Columbia University and the University of Pennsylvania (Ph.D. 1977), and did postdoctoral research at Cambridge and Stanford Universities. Dr. Watson conducts research on visual perception and its application to coding, understanding, and display of visual information. He is the author of over 100 scientific papers on human vision, visual neuroscience, image quality, and digital imaging. He has five patents, in image compression, video quality, and detection of artifacts in display manufacturing. In 2001, he founded the Journal of Vision (http://journalofvision.org/), where he now serves as Editor-in-Chief. He has received Fellow Awards from the Optical Society of America, the Association for Research in Vision and Ophthalmology, and the Society for Information Display. He has also served as an Editor for the journals Visual Neuroscience , Journal of Mathematical Psychology, and Displays: Technology and Applications. With Albert J. Ahumada, Jr, he was the recipient of the 1990 H. Julian Allen Award, and in 1994 was appointed Associate Fellow of Ames Research Center. He is the 2007 recipient of the Otto Schade Award from the Society for Information Display, and the 2008 winner of the Special Recognition Award from the Association for Research in Vision and Ophthalmology. In 2011 he received the Presidential Rank Award and in 2014 the Society of Motion Picture and Television Engineers Journal Award. He has served as a member of the National Research Council Committee on Vision, and on program committees for the Association for Research in Vision and Ophthalmology, the Society for Information Display, the Optical Society of America, and the European Conference on Visual Perception.